Your weekly round-up of local news for 17 – 23 October. The Access to Headington work started as planned on Monday. Read more in my note here. 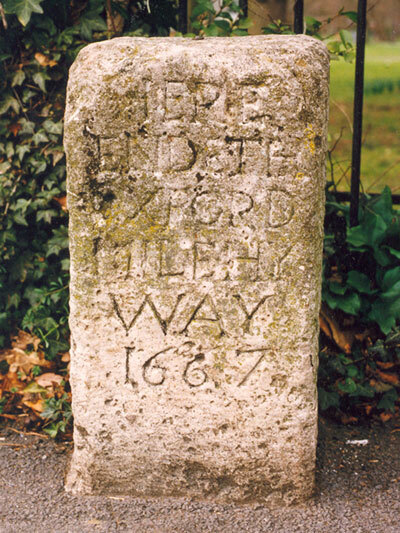 The contractors have been asked for confirmation that the Grade 2 listed 1667 highway stone on Warneford Lane will be protected from damage. A knock-on effect of the roadworks is that Oxford University is proposing to reroute its Science Transit Shuttle down Lime Walk and Stapleton Road until Warneford Lane and Old Road are clear again. Highfield Residents’ Association is seeking discussions with the University, who have also been invited to the Headington Ward focus meeting tomorrow (Tuesday 25 October). The Oxford Trust @scienceoxford has published detailed plans for the future of the Stansfeld site in Quarry. The scheme will provide a purpose-built science education centre for primary schools, and also a café and theatre. At the time of writing the plans hadn’t appeared on the City Council’s planning website. News emerged of an armed robbery at BetFred on Cherwell Drive the week before last (Friday 14 October). A cashier was threatened with a knife. Police are appealing for information. The provider had told us that all the corrective actions specified in their action plans would have been implemented by the end of March 2016. During our inspection on 31 August and 1 September 2016 we found that not all of the recommended actions had been completed.